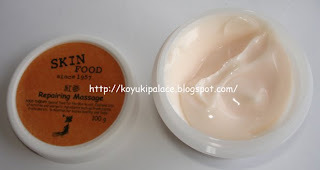 This is a super moisturizing massage cream with a thick texture. It melts after a few massages onto the face, just like when butter melts on a pan.. it makes your face very shiny, but of course after massaging, you need to wash the cream off. 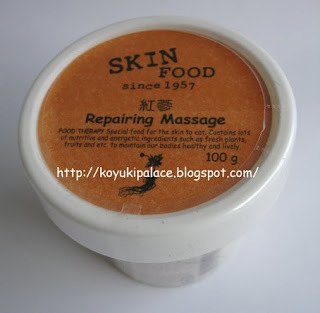 Suitable for dry skin, someone living in a dry area or someone needing a lot of moisture. For the ginseng products I have tried so far, the scent is quite strong, but for this one, the scent is light. For those with pimples, please DO NOT massage your face AT ALL, else you will spread the pimples to other 'clear' areas. Instructions: Apply a thick layer on your face massage in circles for 5-10 mins, wash with warm water.